Our Accredited Staff at The Staging Doctor have an accumulated experience of over 25 years in home makeovers, real estate staging and Architectural Design. WINNER of Best of Houzz 5 YEARS in a row! We are a family owned and operated home staging company based in Irvine, CA. 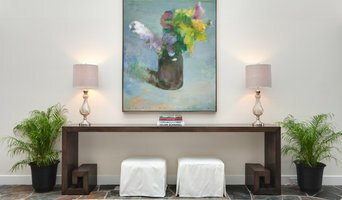 We specialize in stylish, functional and customizable home staging solutions. We work closely with both real estate agents and homeowners to market their home in the best possible light to potential buyers. Staging is the ultimate solution to selling your home or listing FASTER and with HIGHER market value. Founder & Principal Designer | Affie Setoodeh As an award winning and top producing Century 21 Real Estate broker and accredited home stager, I have come to develop a thorough knowledge and understanding of what a home buyer places emphasis on when looking for a potential home. My love for staging and design coupled with my passion for delivering the best client experience has afforded me the privilege of being successful in this industry. Alongside my remarkable team here at Passionate Palette, we strive to provide innovative and on-trend home staging services utilizing a uniquely exclusive collection of luxury furnishings, artwork, linens and accessories. Best of Houzz 2015, 2016. 2017, 2018, 2019 - Make your Orange County, San Diego, or LA real estate listing appeal to more potential buyers with professional staging from Hom Staging & Design. Tiffany Hunter specializes in residential interior design, creating spaces that are simultaneously breathtaking, functional and practical. As the owner of a hip antique and vintage furniture store in Newport Beach, California, she understands how to mix unique pieces from all periods and eras, from Louis XVI to mid-century and Hollywood Regency. She brings her artistic flair to every project, but especially enjoys reinventing previously loved furniture to reflect today's trends and styles. Impress Stage One is a Home Staging and Redesign company I established with a simple mission to provide home styling solutions to real estate small and large. Showhomes Orange County is a full service home staging company dedicated to bringing our clients unparalleled expertise, responsiveness, professionalism and results. Southern California's Premiere Home Stager! We have been serving the Southern California real estate community for 15 years. Our philosophy is founded on delivering the highest standard of excellence in design, service, and investment value. In 2007 we founded Pacific Staging with the primary intent to help homes stand out. Every home is unique. Like a blank canvas calling you to color the space with beauty and style. It's an exciting and transformational process. While furnishing our properties we find ourselves constantly on the hunt for new and interesting pieces. It's an adventure and we love the hunt. We love to invite people to pay attention, think different, and step outside the box. Whether it's a vacant property or occupied home, we work with realtors and their clients to create a product that sells with the least amount of time and hassle. MDG Estates sits atop a solid foundation of people and principle. Its founding members and Board of Directors have decades of experience in staging and Westside real estate. 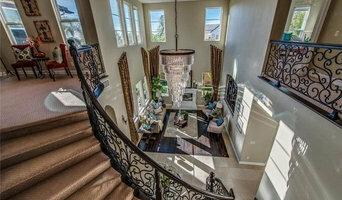 First Impression Home Staging is a Luxury Home Staging & Re-design company in Orange County, CA. We offer an extensive selection of high-end, custom furniture and accessories to help bring your home to life! Our professional approach offers unparalleled value for homeowners looking to increase the buying potential of their home. BDG is a professional home staging firm located in Orange County, CA. We have a full warehouse of designer home furnishings ready to install. We have a proven track record of merchandising homes that sell quickly and for top dollar. Our 15 years of residential interior design as well as model home merchandising sets us apart from other staging companies. Our work has been featured on HGTV, Vacation House for Free, The Nate Berkus Show, HGTV Magazine and various design/home improvement websites. Our fresh approach to design sets us apart! Home staging in Los Angeles has become a norm rather than a trend. Stagers work to maximize the potential of a property. Statistics support that staged homes sell more quickly and for more money. Homes that have been staged photograph better and draw in potential buyers by showcasing a house as a home. The aim of home staging is to transform the interior and exterior of the property with furnishings and decor that most compliment it, broadening the overall market appeal. Niche provides consultation on partial and full staging options. We provide clients with referrals for home repairs, cleaning and painting and provide home organization services to prepare a home for sale. Niche has a collection of modern and eclectic home furnishings and accessories to accentuate your home's qualities and reflect it's stylish and livable nature. You can trust Niche to make your home beautiful. Selling a home can be emotional and stressful, allow Niche to make this process just a little bit easier for you by presenting your home as "just right" for the market and potential buyers. We help you decorate your dream home to live in and enjoy. When you decide to move on, we can stage your home to get the best viewing potential. You will sell your home faster and for a higher price! Our passion is to help you design your space. To strengthen your personal style with our unique european background! To create your dream-interior in an affordable way, give us a call today! What does a Newport Beach home stager do? 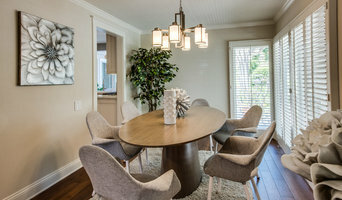 Home staging companies in Newport Beach, CA employ a variety of different techniques to present the home in the best light possible. The first step will likely be to make sure the home is impeccably clean, including the exterior of the house. Next the home stager will work on removing the personal touches that are unique to the current owners. Paint colors might go from dramatic reds and purples to neutral tones like beige and taupe, in order to appeal to the masses. The home will likely be cleared of family photos, risqué artwork, collections and knickknacks, so potential buyers will be able to better envision their own life in the house. In some cases furniture will be swapped out, and you might not even recognize your own house. Some Newport Beach home stagers tackle most of these tasks themselves, while others work with subcontractors and other professionals to get the job done. Here are some related professionals and vendors to complement the work of home stagers: Interior Designers & Decorators, Photographers, Real Estate Agents. The process of staging a home can be difficult for some homeowners, especially when being asked to change things you’ve poured your heart and soul into over the years; but try not to take anything personally, as the stager only has your best interest in mind and no intention of insulting your personal taste. Before you contact a professional home staging company in Newport Beach, CA, make sure to consider a few things: Are you willing to change your home and take the advice of this professional to help sell your house? Do you think your house would greatly benefit from the help of a stager? How long are you comfortable having your home on the market? A staged home is likely to sell faster and, on occasion, at a higher asking price than a non-staged home. While there is no guarantee this will always be the case, it’s often true and can make the entire selling and moving process a lot less stressful in the long run. If you are selling through a real estate agent, it’s a good idea to get their opinion on whether staging your home would be beneficial to your specific situation. Find a certified Newport Beach home stager on Houzz. Narrow your search in the Professionals section of the website to Newport Beach, CA home stagers. You can also look through Newport Beach, CA photos by style to find a room you like, then contact the professional who staged it.